The Catskill Game Farm in Catskill New York, a destination that once housed 2000 exotic animals, was in operation for over 70 years. Beginning with a small collection of white-tailed deer, donkeys, and sheep in 1933, Roland Lindemann and family expanded the collection to include over 150 species. Due to financial difficulties, the Catskill Game Farm closed in 2006 and was sold – although the new owners have plans to convert the former Giraffe House into an inn and the rest of the property into an RV park and campground. The owners have been open to official visits, planned in advance, and Matthew Christopher from Abandoned America has been one of the photographers allowed onto the property. 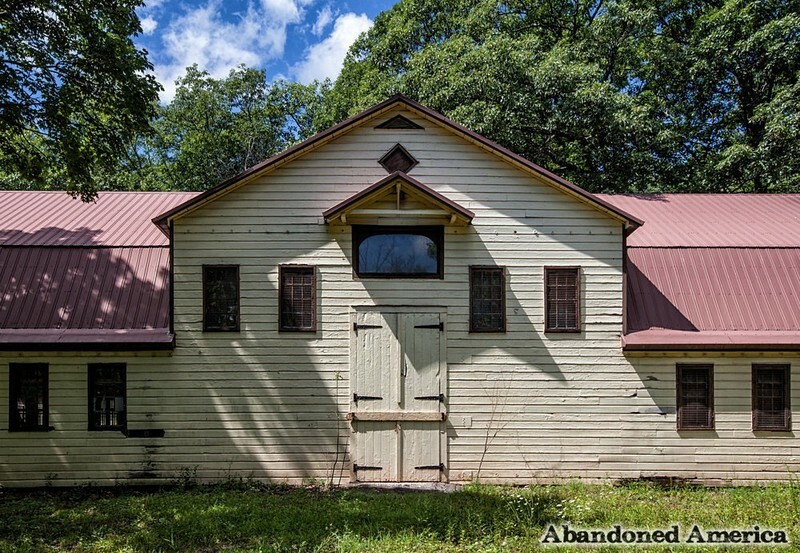 In April, he will host a unique photography workshop at the farm in advance of the release of his new book Abandoned America: Dismantling the Dream. Today, he is sharing with us his photographs of the Catskill Game Farm, which was the first privately owned establishment to be designated a zoo in 1958 by the United States Department of Agriculture. This designation spurred the expansion into exotic animals, as it “enabled them to import rare and vanishing species from around the world,” Catskill Game Farm’s now defunct website stated. The Lindemanns traveled around the world, importing animals from Australia, Africa and Europe. The majority of the 914 acre site was used for breeding animals for zoos. Upon the closing of the Catskill Game Farm, the animals and much of the amusement park rides and other infrastructure were auctioned and spread around the country. Buyers included Mark Ecko, of the eponymous clothing line, who purchased a southern white Rhino for the Out of Africa park in Arizona. Other notable sales included a female warthog for $9,900, another rhino for $9,250, along with deer, bison, alligators, and much more. Next, check out the abandoned Grossinger’s Resort in the Catskills and NYC’s Abandoned Hospitals and Asylums. I hardly remember any of it but my Grandparents took us there when we were little kids. Long LONG time ago in another century and a different world. I remember going as a kid as well. Honestly I don’t remember the animals but I do remember they had one of those playground digger things and I thought it was just the coolest thing.